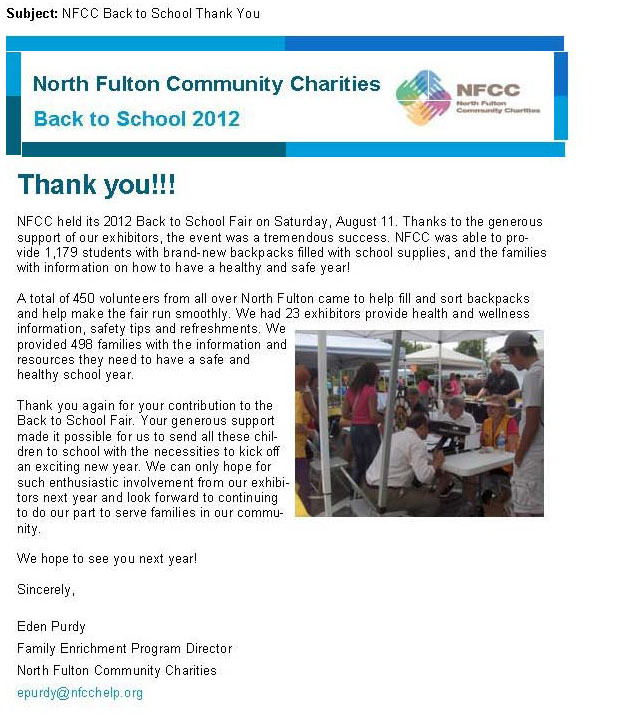 Roswell Lions participate in North Fulton Community Charities Back to School 2012 | Roswell Lions Club, Inc. This entry was posted in Thank You and tagged North Fulton Community Charities, Thank You. Bookmark the permalink.